The Travel Department is not completely hard-funded by State Appropriated funds, and bills departments for services rendered to subsidize salaries and operational costs. The Audit fees, both for international and domestic trips, is designed to provide support for the accounting functions associated with a trip; prepayments, substantiation, reporting and reimbursement, for example. Onsite Agency fees are similarly charged, but provide support for travel agents, software and contractual fees paid to Christopherson Travel, as our contracted Agency. All departments are charged according to the same schedule, so our functions are supported proportionate to departmental use of our services. The University may not reimburse airfare costs that exceed the cost of our State contracted fares when the destination or connection city is included in the State’s contracts. State Contracted rates will be listed on the Trip Registration Report when department registers trip information using the on-line travel system. International trips funded by Federal Contracts and Grants must comply with the Fly America Act. Onsite Travel agency may be able to book published First or Business Class fares at negotiated discounts. First Class travel is allowable when there are documented medical reasons. Medical documentation and personal exceptions should be updated every five years to verify the medical/personal condition still requires First Class accommodations. IMPORTANT NOTE: The Travel Department will make every effort to keep this information current, however, please keep in mind that the Airline industry changes these fees without notice to their customers. Our OnSite Agents are our best resource to help us make appropriate business decisions based upon current conditions as we book travel. Some frequent Travelers will be exempt from some of the fees listed here, consult with your OnSite agent. Often, using the State of Utah contracted fares are the best way to avoid some fees, consult with our OnSite Agents. It is the responsibility of the traveler and the travel planner to be aware of what fees are going to be reimbursed to the traveler as an allowable business expense. Allowable Delta, American, Continental, United $150 (domestic) If you anticipate changes, or dates/times are not certain, book State Contracted Fare to avoid excessive change fees.Consult with OnSite Agent for most appropriate choice. Not Allowed by Airline Second 24 hour hold Penalty Fee: Delta = $50 per segment – Cost to be passed to Dept. TRAVEL PLANNER NOTE:If booking NON-REFUNDABLE tickets, you MUST provide the Travel Number and Chart Fields once the first hold is released if your traveler wants to book that itinerary. If we are asked to HOLD the reservation for a second time, and the airline assesses a penalty, your department will be charged for the penalty. Our booking system does not hold reliable information to monitor these instances.TRAVEL PLANNER NOTE: STATE CONTRACTED FARES are not subject to these rules, so if your traveler is unsure of exact times or dates, or may not be in the office in the next 24 hours to accept the itinerary, you may want to request State Rates.Consult with your OnSite agent for help. Allowable with Explanation Cost Varies by Airline Some Frequent Travelers will be exempt from these fees. In most cases, our OnSite Agents will confirm seating at no charge. Re-Usable within 1 Year of Original Issue Date Airline Change fees will be applied against value of credit. TRAVEL PLANNER NOTE: If your traveler has unused tickets, they should use the credit to book their next trip within 6 months to avoid the ticket used for institutional credit. Travel Department Service Fees: The following fees have been approved by the President, the President’s Cabinet and the Council of Academic Deans. Black – Current travel fees remain unchanged. Red – New group fees to be implemented effective July 1, 2016. Private Automobile Mileage: Travelers may, when most appropriate and cost effective, be reimbursed for personal auto mileage. Upon approval of their department, travelers may be reimbursed for mileage expenses that exceed the expense of their normal commute. State agencies, including the University and Board of Regents, should support the investment of the State Fleet when its use is the most cost-effective option. We have outlined some examples to guide departments in employing this guideline. 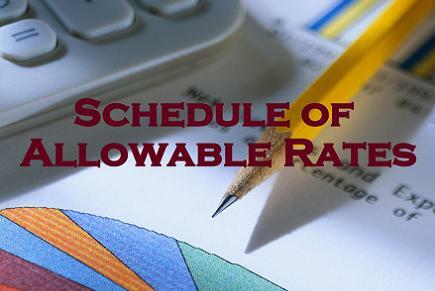 Travel department may determine that lower rate is most appropriate for reimbursement. Example: Two to four people need to attend a day meeting in Logan. Appropriate Use: Those involved should meet on campus and take a fleet vehicle to attend the meeting. Example: One person needs to attend a meeting in Cedar City for up to six days. Appropriate Use: Employee should use a fleet vehicle that can be picked up after 3:30 the day prior to departure. Example: Employee needs to attend a conference in Las Vegas. Appropriate Use: Airfare can be obtained for approximately $152, so the employee should book commercial airfare. State vehicle use should, for the most part, remain within the State of Utah. Example: Employee lives in Layton, and is attending a day meeting early in the morning in Logan. Appropriate Use: Employee should use the lowest practical cost method for attending meeting. Private auto would be the most appropriate due to the time it takes to drive to University Fleet Services to pick up the fleet vehicle. Rental rates, availability and reservations can be made at the University Fleet Services. NOTE: Beginning with trips completed after July 1, 2010, we will require brochures or registration summaries for trips where the purpose is a publicized meeting. We are encouraging departments to deduct the value of meals provided by the conference or meeting based upon the federal M&IE Breakdown table. Recommended values are provided for breakfast, lunch, dinner and incidentals. See Domestic M&IE Breakdown federal tables. See Foreign M&IE Breakdown federal tables. Extended Day Meal (Actual cost, with receipt, one meal only): $15.00 maximum for extended days over 10 hours in length, where greater than 100 miles was traveled each way. ACH Expedite: Travel Accounting can have a reimbursement direct deposited (ACH) within the next business day for an additional $8 fee. If the traveler chooses to take advantage of this service the fee is taken directly out of the traveler’s reimbursement. ACH Expedite payments are due by 2:00 PM in the Travel office and will be available within 72 business hours. Normal processing time for a Travel reimbursement is 5 business days. Next Day: Travel Accounting can have a payment ready for the next business day pickup for an additional $12 fee, typically paid with a campus order. Next Day payments are due by noon in the Travel office and will be available by noon the following business day. *When required and documented, additional Short Term Parking may be used up to a maximum of four days. The additional Short Term Parking fee, i.e. in excess of one day, may not be charged to State Appropriated Funds or Grant and Contract Funds. Travel will update allowable parking reimbursement amounts as costs change, for more information; refer to Salt Lake International Airport.